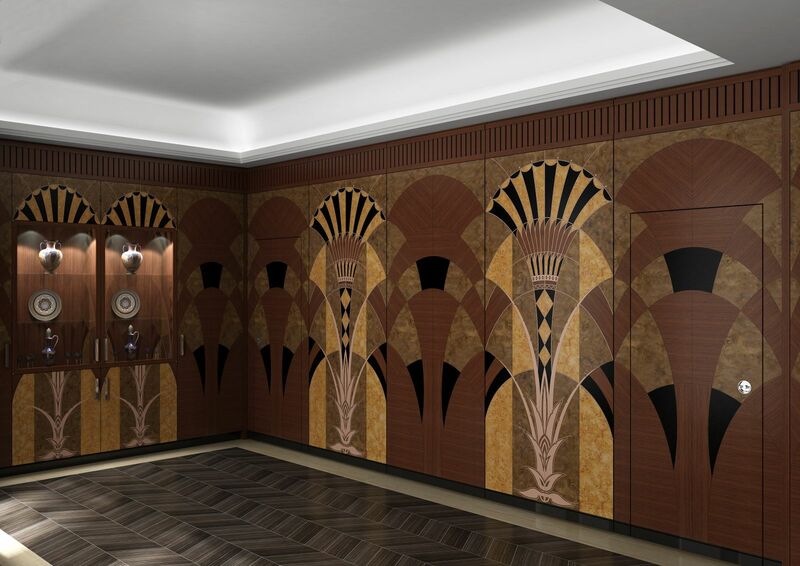 If you are a fan of the art deco kitchen or the flamboyant art deco period in general, then it’s quite possible you’d have seen images of the lift doors in the Chrysler Building in New York which have been the inspiration for a bespoke kitchen and dining room commission we have recently completed in Mayfair, Central London. To set the scene, the Chrysler Building was constructed in the competitive and fast paced world of 1920’s New York. The economy in America was booming; the social scene was roaring, and the fields of design and architecture were creating their own very specific identities. 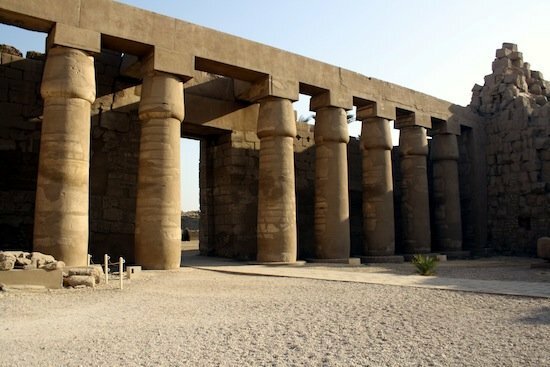 The discovery of King Tutankhamen’s tomb in 1922 had also unleashed a huge thirst for Egyptian design with the Karnak Temple in particular influencing global design detail of the time. 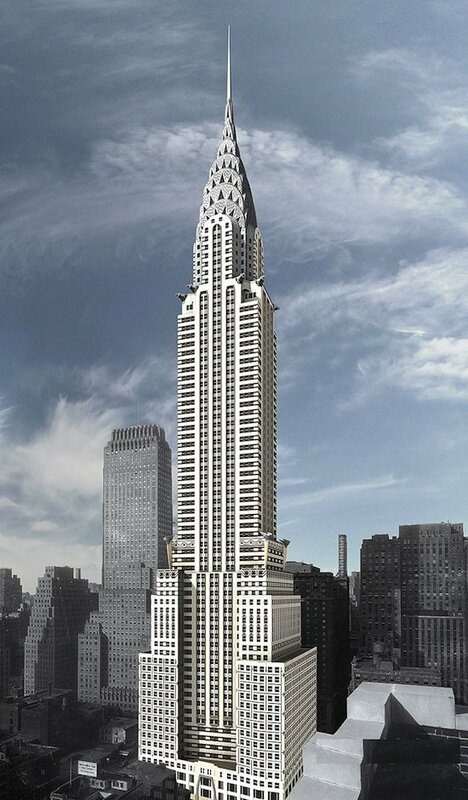 The Chrysler Building was funded entirely by Walter P Chrysler who incredibly paid for the building from his own pocket in order that his children and grand-children could benefit from it. It was therefore he who made many of the bold design decisions alongside the architect William Van Allen. The eccentric Art Deco crescent-shaped steps of the spire (spire scaffolding) were made of chrome-nickel steel as a stylised sunburst motif, and underneath it steel deco gargoyles, depicting American eagles, stare over the city. Sculptures modelled after Chrysler automobile radiator caps decorate the lower setbacks, along with ornaments of car wheels. It really was an awe-inspiring folly. There were many stunning and original design details included in the architecture of the Chrysler Building, but the one to influence the panelling and doors for our kitchen and dining room commission are the incredible lift doors, of which there are 32 sets within the Chrysler Building and 37 in the kitchen and dining room we are making. 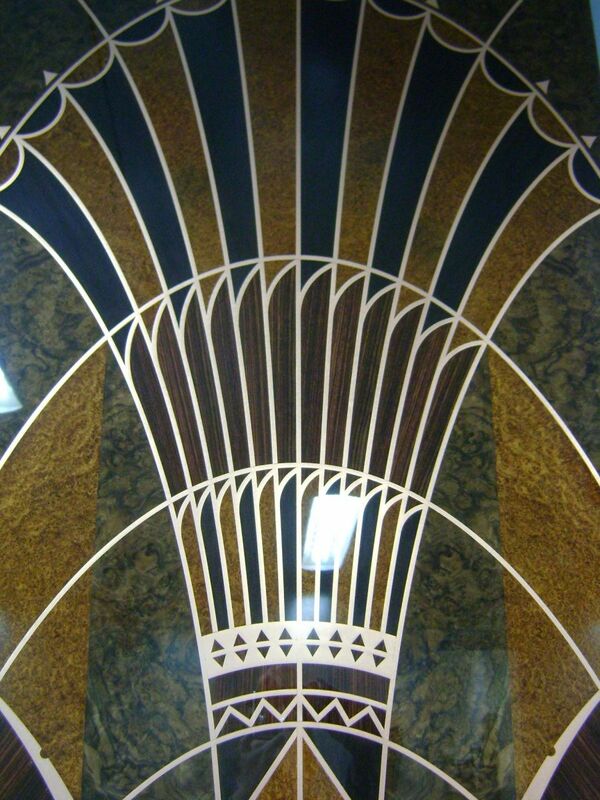 The lift doors in the Chrysler Building, New York. Our rendered images of the approved design. 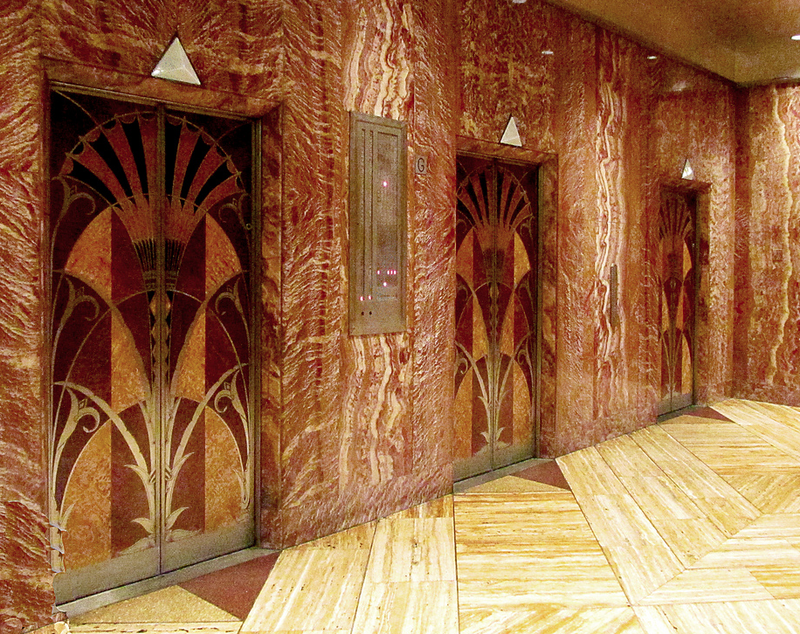 According to the book, New York, 1930, the Art Deco Chrysler Building Lift doors are made of Japanese ash, English gray harewood and Asian walnut. 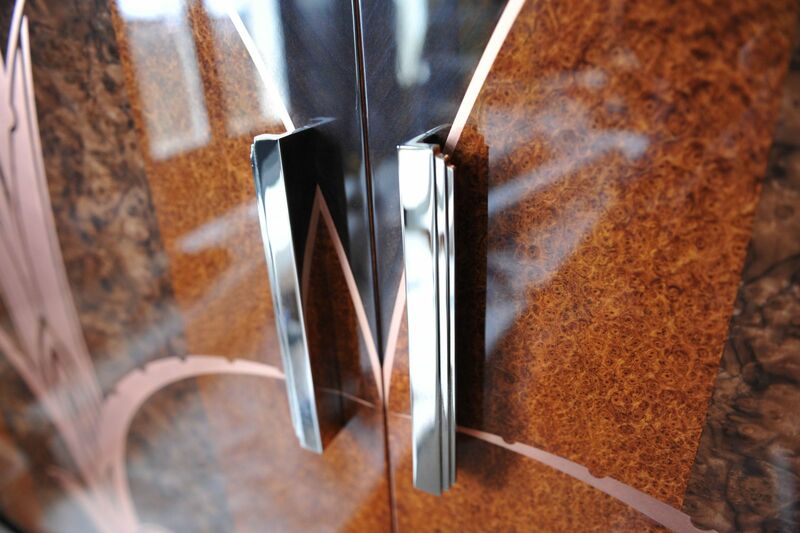 Inside the elevators, the cabs include American walnut, dye-ebonized wood, satinwood, Cuban plum-pudding wood and curly maple. The cabs are all different inside. The metal work is chrome-nickel steel to match the exterior of the building. 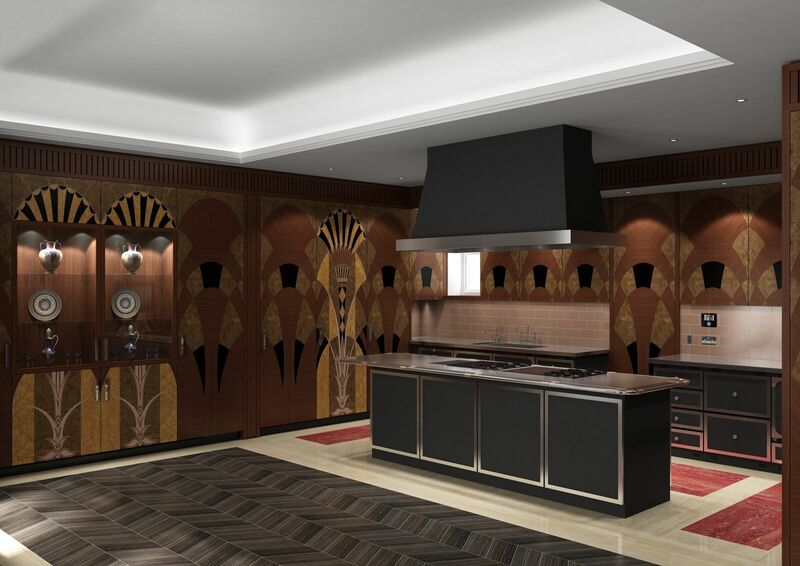 The project creative idea was originally conceived by our friends at Fletcher Priest Architects, with Artichoke being responsible for taking the conceptual idea of the art deco kitchen and then turning it into reality. The design detail within the doors includes some fascinating references to Egyptian mythology including references to the Egyptian feather of truth (the feather, because of its Egyptian name, “shut”, was a symbol of Shu). This may have been a clever attempt at humour by the architect. 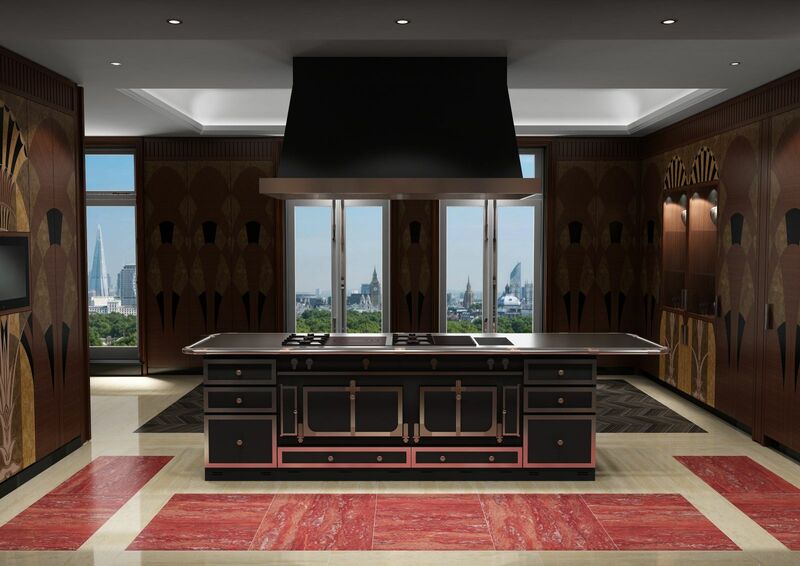 Artichoke was asked to create a panelled bespoke art deco kitchen and dining-room for the project which overlooks Green Park. 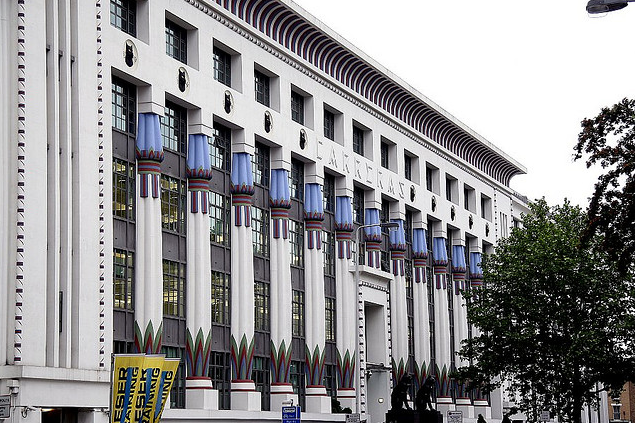 The design had similarities to the original doors in the Chrysler Building, albeit with less flamboyant metalwork, pared down Egyptian references and sightly different decorative veneers. 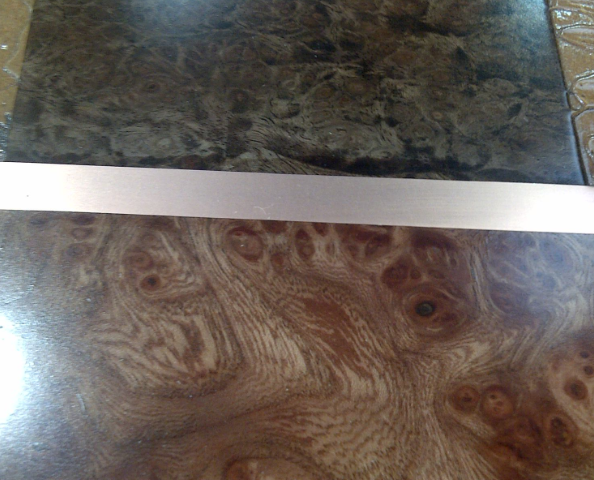 There are many complexities to undertaking a marquetry job of this nature. Firstly, unlike lift doors, kitchen doors are often different widths because they often house different hardware within them. 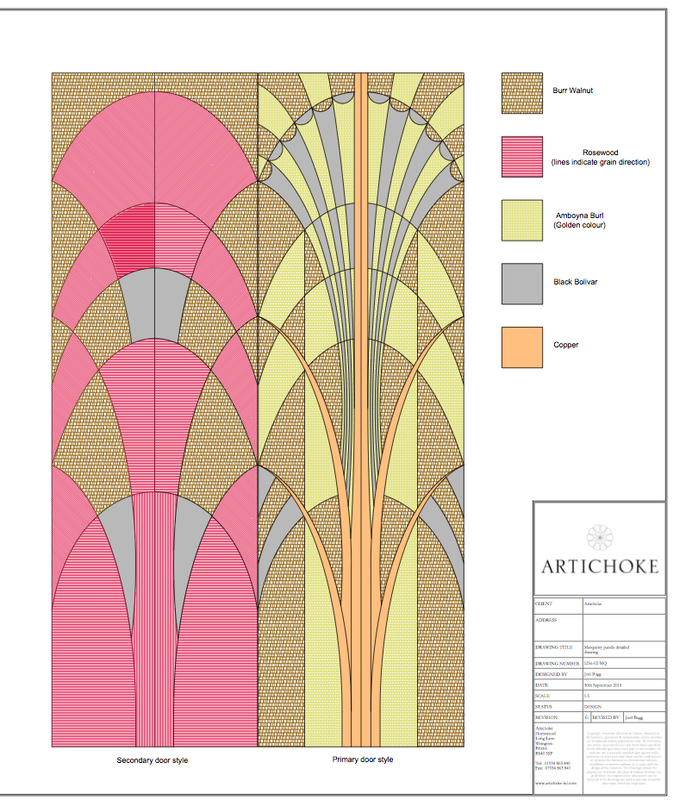 How do the designers ensure therefore that the panels are equal in size and mirror each other on either side of the room, a vital puzzle to solve in order to adhere to the classical symmetry and proportions so important in Deco design? Secondly, from a purely practical point of view, how does one treat the copper sheet that’s embedded within some of the marquetry panels? Research shows that copper contains a repellant which actually breaks down most rubber based glues, and other glues have varying degrees of success. Copper also expands rapidly when heated, so a cautious approach is needed when sanding the veneers, otherwise the copper is likely to heat up with friction, expand and ping off. Then, once the correct glue is found to successfully adhere copper, testing is needed to see how it reacts with the exotic wood veneers either side of it. Any reaction, and it’s back to square one! In addition to that, copper also dis-colours when being cut by laser, so specialist laser equipment with weaker strength beams were sourced specifically to cut the individual copper elements. 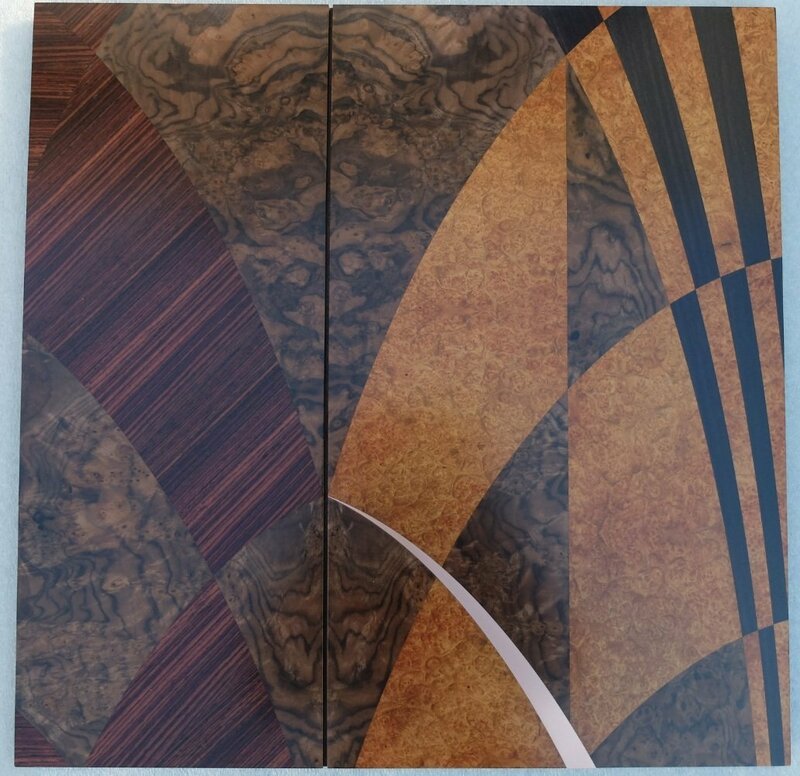 Grain direction is another big discussion point, as is trying to ensure that the flitches of veneers used in the doors match each other in both tone and scale as closely as possible. 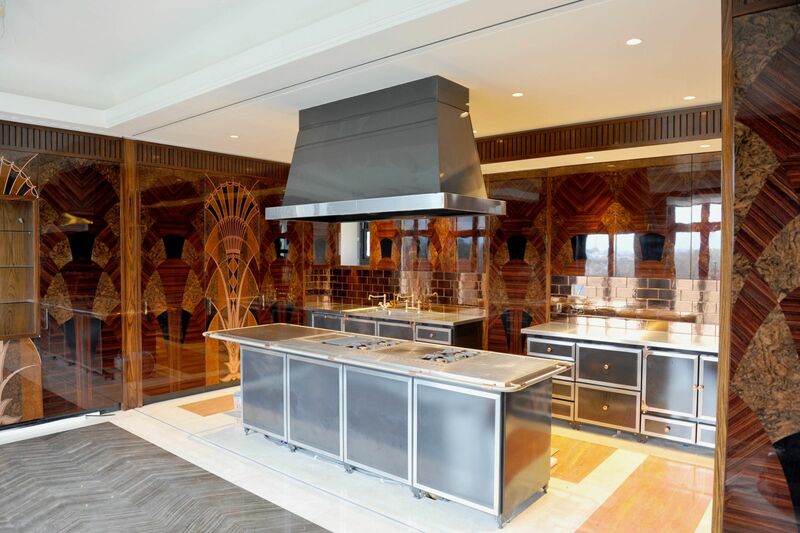 There are six primary doors and thirty one secondary doors throughout the dining room and bespoke kitchen, including an automated moving partition wall that divides the rooms when entertaining. 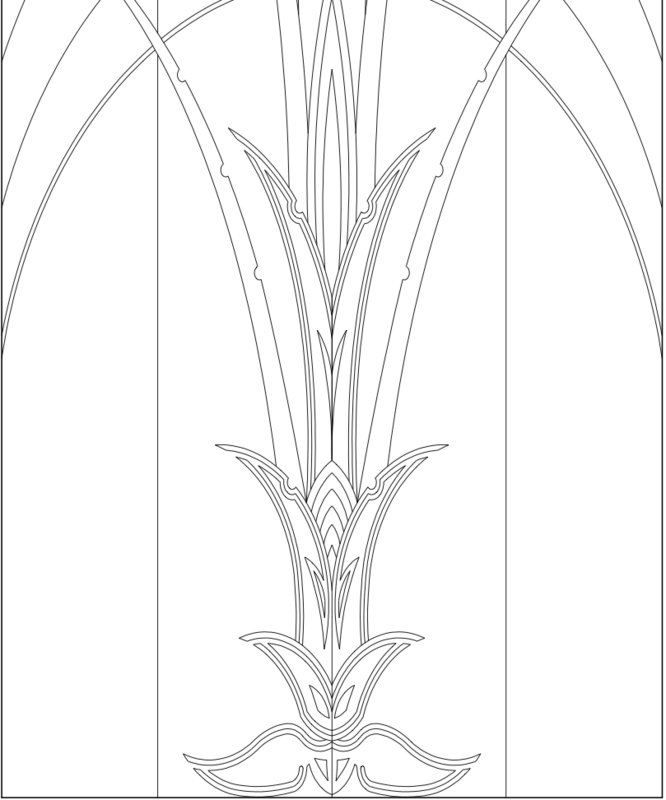 The initial layout of the marquetry doors with their materials listed. 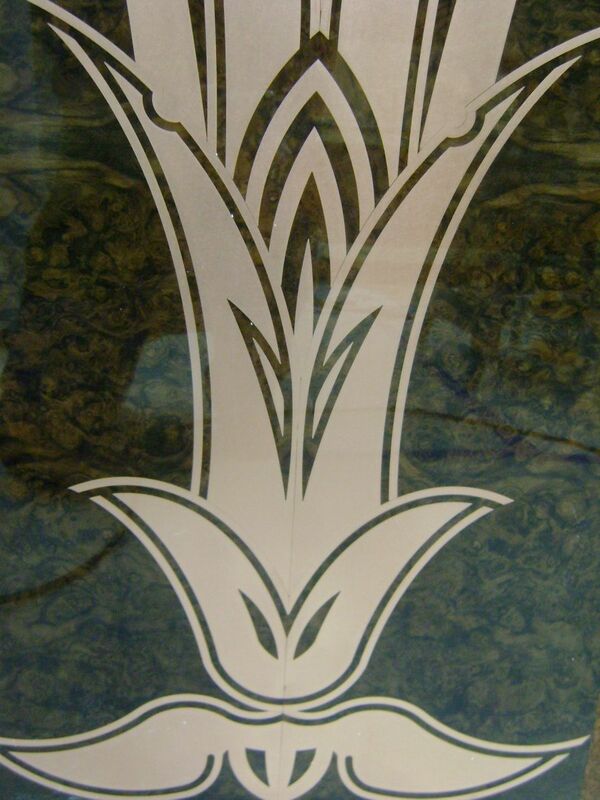 How the marquetry is cut. Initial client sample showing veneers and copper inlay for the primary doors on the right hand side and secondary on the left. 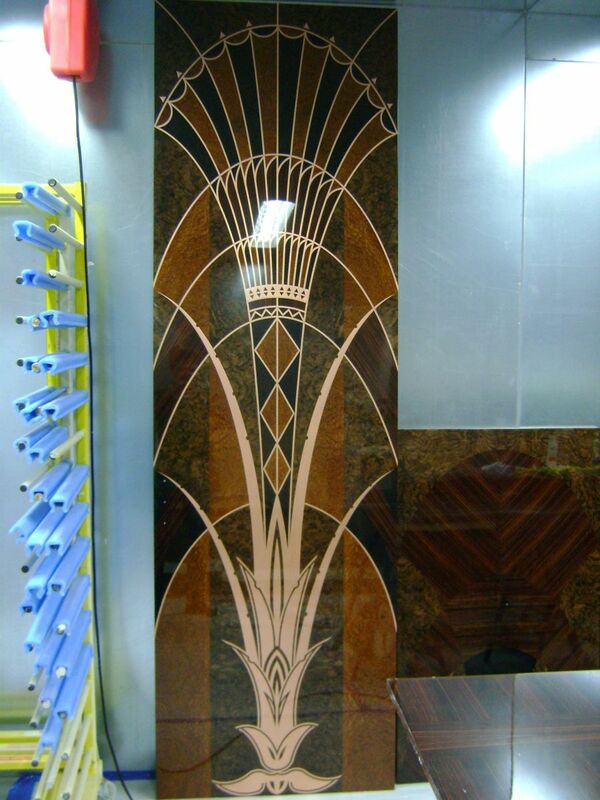 The client approved the sample for the art deco kitchen’s secondary doors, but it was felt a more intricate pattern for the primary doors was needed. The latest design is on the right hand side, showing a much more intricate pattern for the copper veneers on the primary doors. 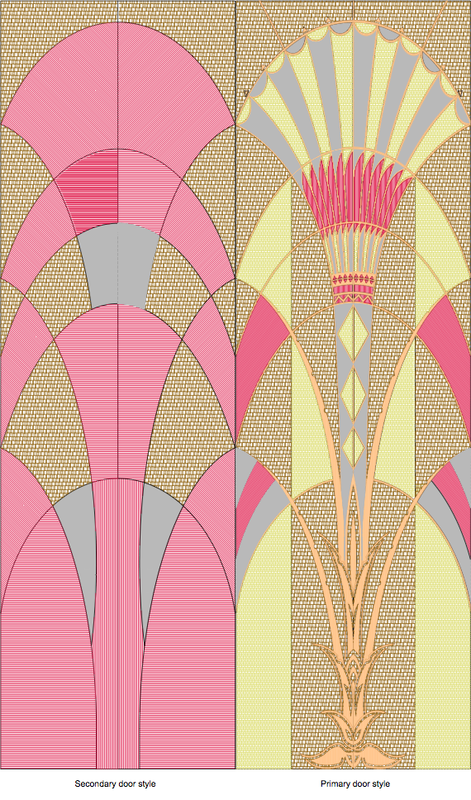 You may notice that the Egyptian feather has been re-introduced to the design on the right. 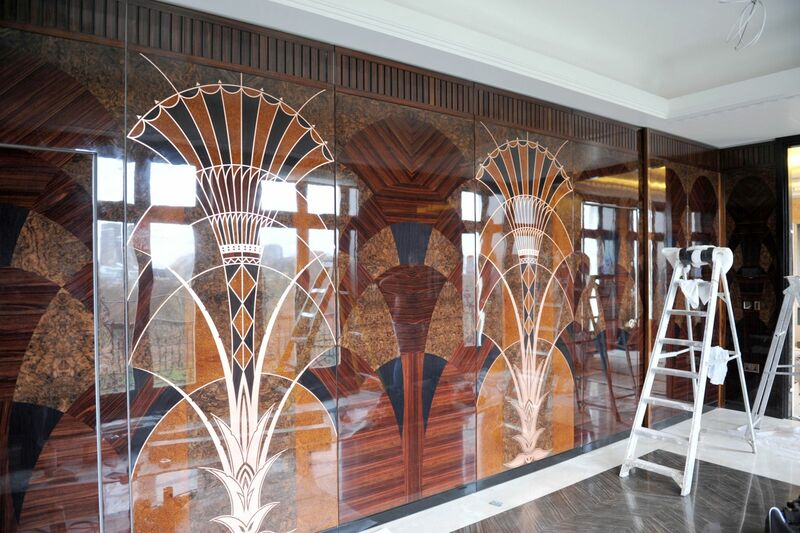 This more detailed elevation shows the intricate copper detailing on the primary marquetry panelled doors. 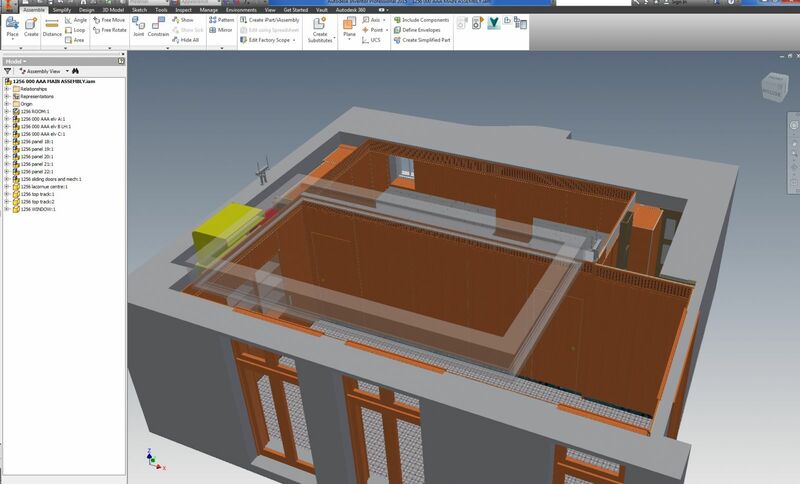 All of Artichoke’s bespoke kitchen projects are first made digitally using engineering software. This ensures that all of the cabinet-making issues can be ironed out before real production starts. Detail of the copper in-situ. One of the 37 doors ready to be wrapped and taken to site.